The YMC is one part of the Young Men's Health Initiative (YMHI). The clinic has grown over the past two decades to become one of the most recognized health programs for young men in the United States. 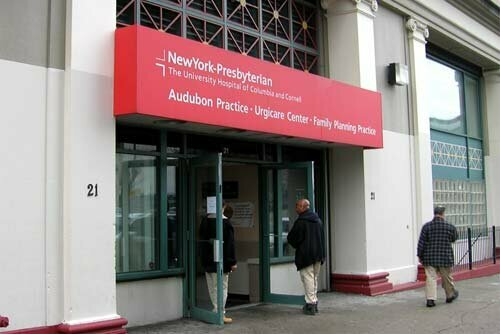 The YMC grew out of the CCHE Family Planning Clinic for women, and began as a street outreach and condom distribution program in the late 1980s. In the early days, public health faculty and students worked with neighborhood agencies to sponsor basketball and other sports events, dances, and first-aid training activities. These collaborations established trust between the community's adults and youth and the YMC. The clinic now provides services at almost 4,000 visits each year. The YMC is supported by the Robin Hood Foundation, Ford Foundation, the federal Office of Family Planning/Office of Population Affairs, and the New York State Department of Health. Medicaid and other health insurance, as well as patient fees also help pay for services. The YMC provides services at three clinic sessions each week. Outreach and health education services are provided in community agencies and schools. YMHI staff also provides health education services for males at two comprehensive school-based health centers operated by CCHE/NYPH in Washington Heights and Harlem. The YMC has been nationally and internationally recognized as an important model of men's health services. The clinic has been featured in The New York Times, Scientific American Presents, the American Journal of Public Health, Perspectives on Sexual and Reproductive Health, CBS Sunday morning news, and MTV. The YMC received the New York Urban League Building Brick Award for its outstanding service to the community.